John Cooper Works 380cc Fuel Injectors. If you have an 02-06 R52 or R53 MINI Cooper S and want an injector upgrade here is what you need. These are the Original 380cc injectors from the John Cooper Works cars. 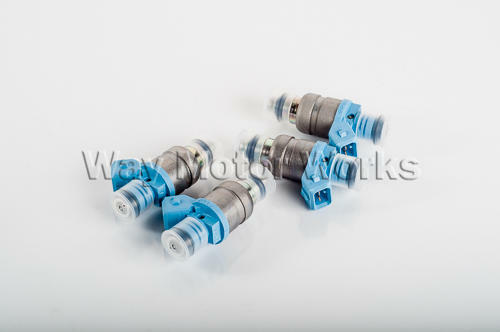 They are some of the best injectors available and most reliable. An easy way to up your performance and improve throttle responce. In 2005 these came standard with the JCW engine tuning kit, so JCW felt you needed more fuel, not a bad idea for a pullied MINI. Also if you have done a lot of mods, you'll need more fuel, this is the easiest way to do it and a safe way. These fit just like the OEM without any modification and ecu tuning is not required to make the car run. Priced as a set of 4 injectors.